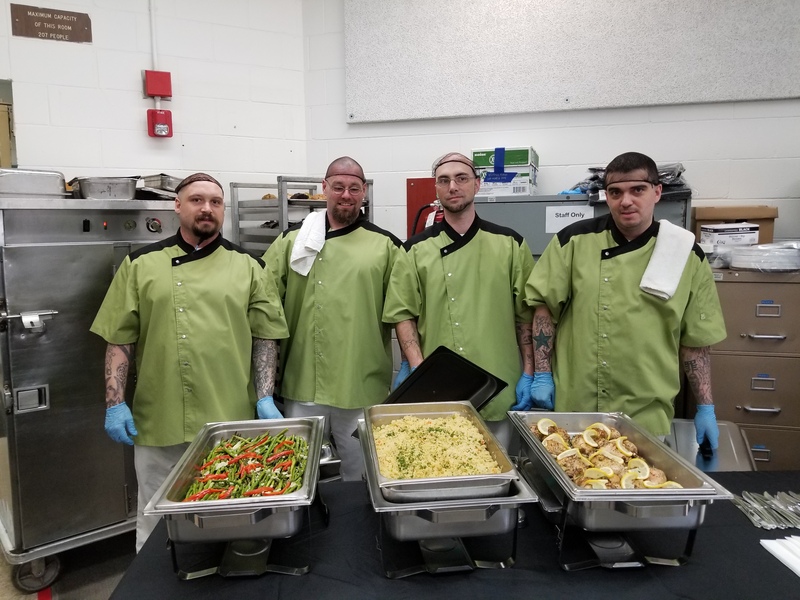 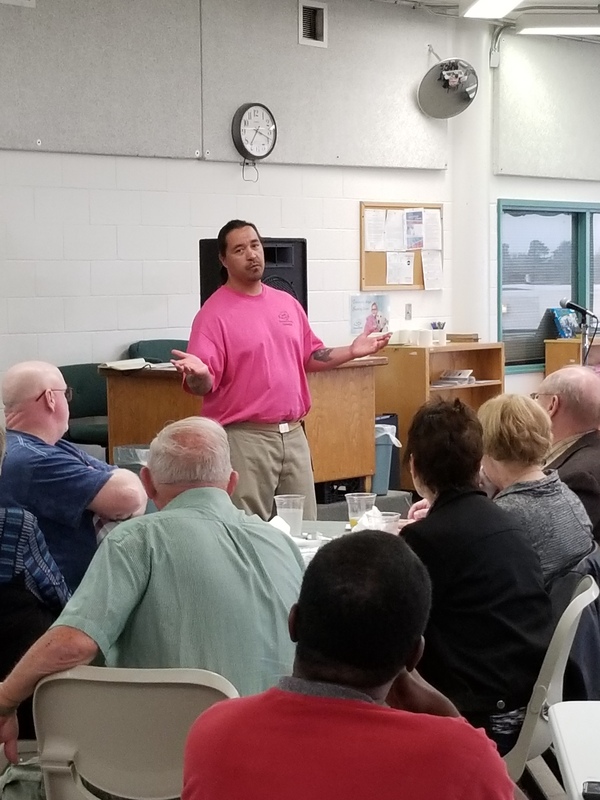 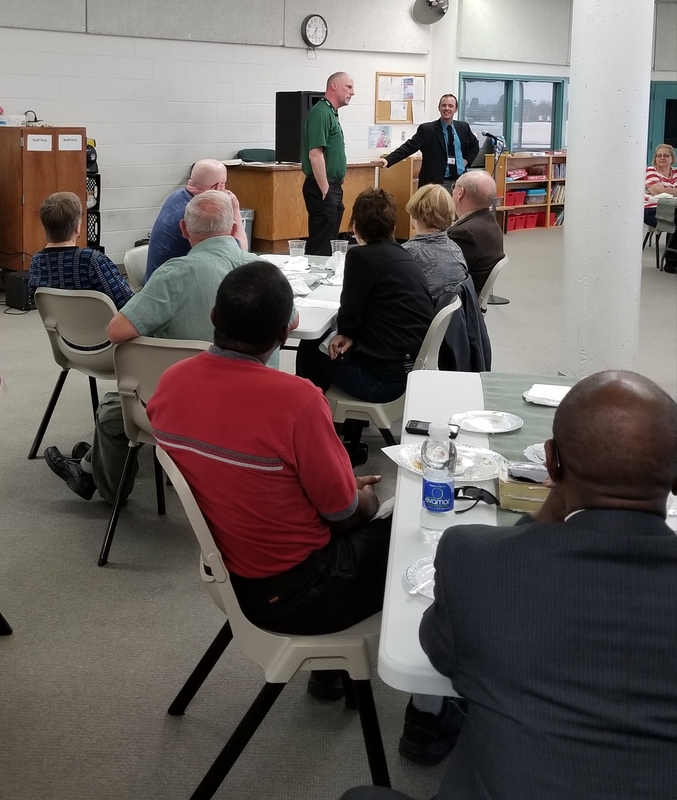 Team members at the Lincoln Correctional Center (LCC) and Diagnostic and Evaluation Center (DEC) hosted a volunteer appreciation dinner in the LCC visiting room on April 30. 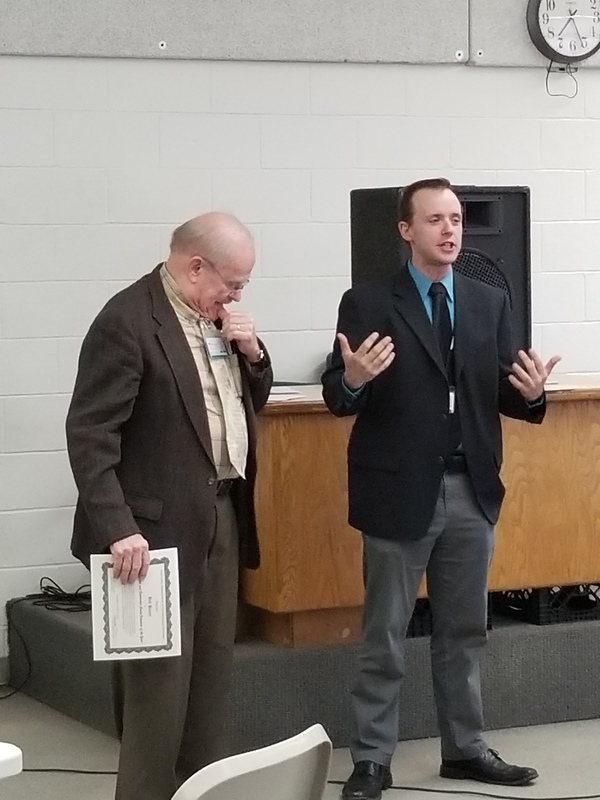 Several volunteers attended the event, including Bill Hance, who was recognized as DEC’s Volunteer of the Year, and Roy Wolfer, LCC’s Volunteer of the Year. 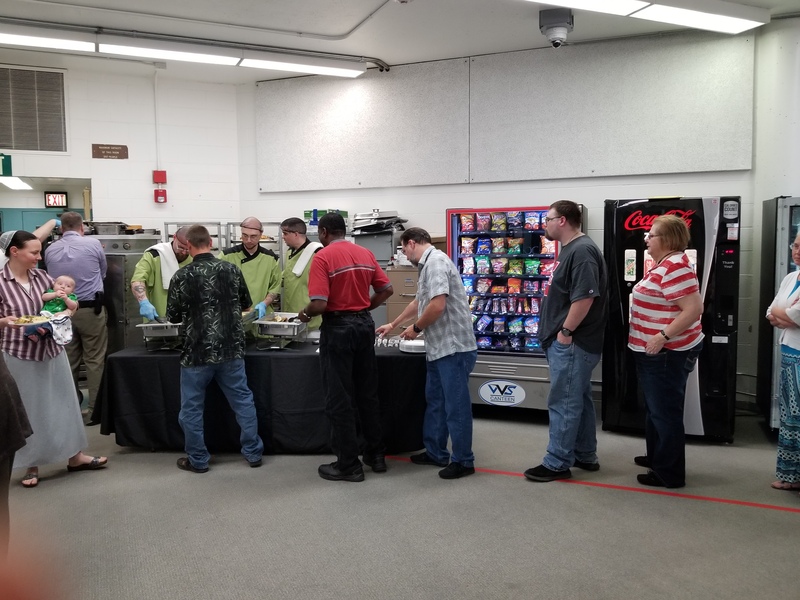 LCC’s Food Service team provided a lovely meal consisting of lemon pepper chicken, rice pilaf, asparagus and a choice of dessert.